The film "Taraska" is a story about people with a desire to dream, discover and explore. Search for life outside ordinary everyday life and share such moments with friends. This is a story about the journey, not about the destination with its pleasant surprises. The given film from the cycle SEASON 2011 "Motoleto" is the first prequel to the trilogy "12", "X", "14". Film "TARASKA" : Semi-Finalist on Caribbean Film Festival and Market (2017) Grand Bahama Island, Bahamas. Selected : Cardiff International Film Festival (2017) Cardiff Bay, Wales, United Kingdom. Your attention is presented to the documentary, which tells about the moto festival "Tarasova Gora" held in 2011. Kids To School And We Go Riding! Subculture of bikers during its existence has turned into a direction with its own attributes, symbols and ideology. The biker embodies the image of a free person who loves speed and is not afraid of limitations. We decided to bake the fact that for these people motorcycles are not just a hobby. For them it has long become a culture and a life itself. Our team collected images of people of different backgrounds and professions, united by a love for motorcycles. The film "Kids To School And We Go Riding!" 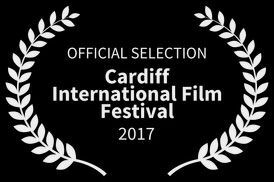 - Selected : Cardiff International Film Festival (2017) Cardiff Bay, Wales, United Kingdom.